In attempt to fully indulge myself in American culture this year, I have acquired the habit of drinking coffee everyday. I always like to accompany my daily brew with something sweet on which to nibble. Back in England, I would always have a stash of chocolate digestives, chocolate bunnies (around Easter time) and other chocolate treats to consume with my daily cup of Earl Grey. I believe that it is only fair that my coffee has a sweet companion too! I decided to stay away from the giant cakes and muffins (as I would like to return back to England a similar size to that which I was when I left), and found out that Americans enjoy a nice chunk of biscotti with their coffee. That sounded like the perfectly-sized treat for my coffee! Needless to say, a student life isn't the most affluent of lifestyles. I decided that by making my own biscotti, I am not only saving money, but have the ability to choose the exact flavours I like! I decided to try out the combination of thyme, orange and dark chocolate. I was toying with the idea of dipping the biscotti in chocolate instead of adding chocolate chips but actually decided to keep the chips in the mixture. I love it when chocolate chips melt in my mouth with hot coffee... bliss! As for the flavours, I think that they all go very well together. 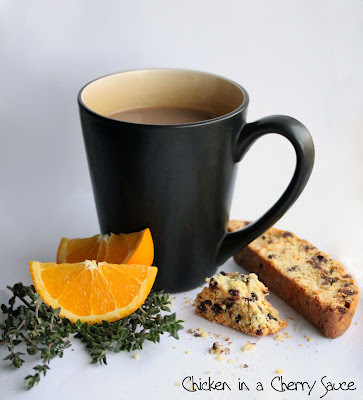 The thyme and orange add a refreshing aroma to the biscotti, the almonds add the perfect crunch and I have already mentioned the chocolate, above. 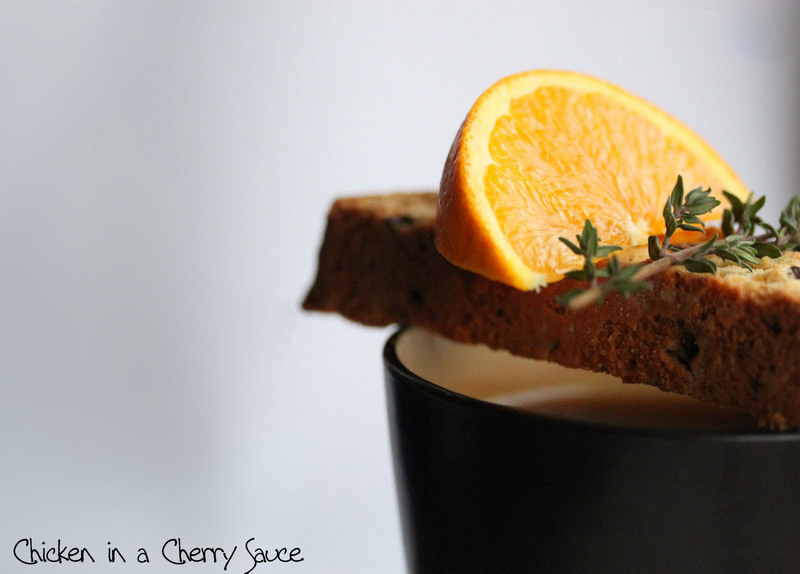 The beauty of biscotti is that you can add practically anything to it! Cranberries, figs, cinnamon, anise, rosemary, walnuts, lemon, pistachios, pumpkin, pecans, coffee, brazil nuts, ginger, macadamia nuts, honey, poppy seeds, coconut, raisins and the list goes on and on! I have still never tried making biscotti... these look wonderful. Your photographs are stunning Hazel, I think you have a flair for food styling. I too have never made biscotti, but like most things, I guess homemade are best. The thyme is an interesting addition. Sounds lovely! Oh my gosh!! This looks amazing!! Great pics. I've made biscotti a few times now. Before I tried making it I was a bit intimidated, but I'm so glad I finally braved making it. I love it! This is such a fantastic combination of flavors. I love the thyme added in. Definitely a Must Try! Interesting use of thyme - I would never have thought to use it as part of a sweet dish but sounds like it really works! I am impressed that you have made your own biscotti too. 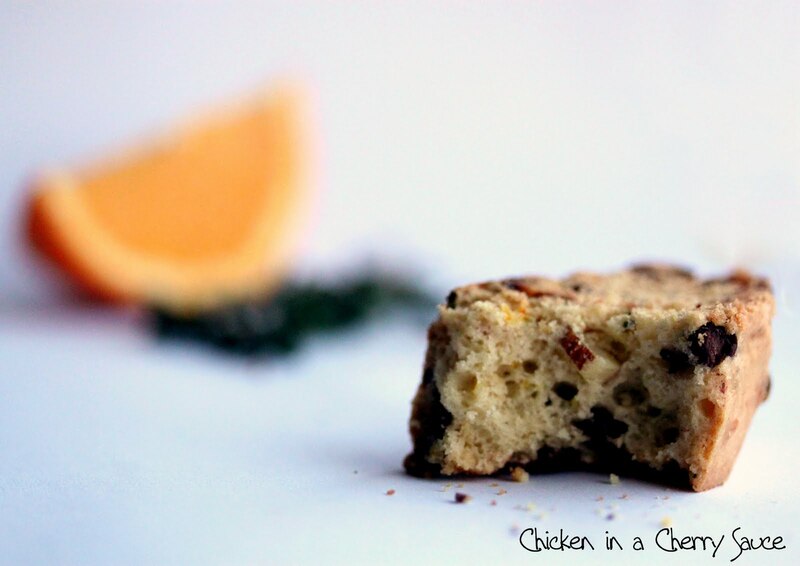 Delicious biscotti and beautiful photos! Great flavours and beautiful photographs. This sounds a really interesting combination of flavours! Absolutely agree on the hot coffee/ melted chocolate experience. I also love the use of herbs combined with sweet treats. In any case, your photography is certainly inspiring, and makes me want to quickstep into the kitchen and bake a batch of these crumbly cookies. This was my first attempt at making biscotti and it was surprisingly easy - I encourage you all to try making it! Now I didn't know about Americans having taken to biscotti, but I guess I shouldn't be surprised by the Italian influence. 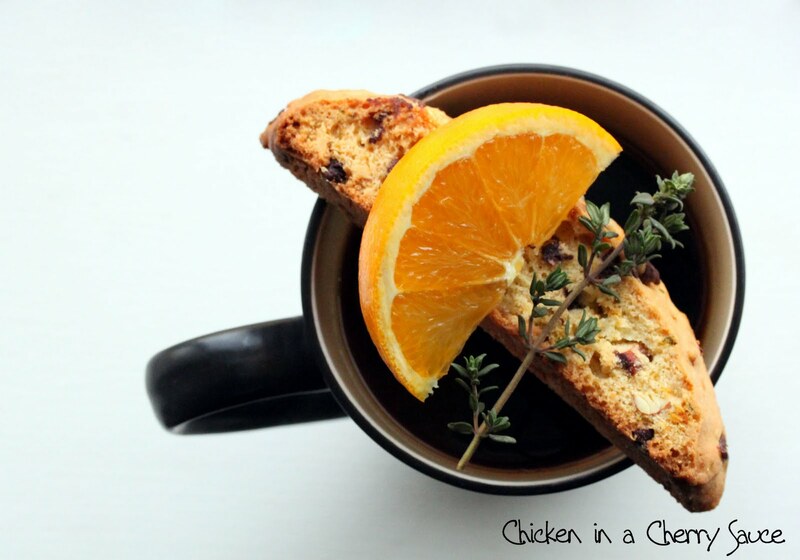 Love the idea of using thyme and your pictures are fantastic. Biscotti are so delicious and addictive! Those look really wonderful. Peppermint Bark - a little late!